Campaigner for the homeless Father Peter McVerry said while Ireland had waited several weeks for Fianna Fail and Fine Gael to form a government – 200 more families had become homeless. Father McVerry gave an impassioned speech outside Liberty Hall, Dublin, where he told hundreds of campaigners and families, young and old, how homeless figures was a “critical problem,” currently not being addresses while political matters are unsettled. “200 more families have become homeless and about 300 more individuals have become homeless,” Fr McVerry said, while the two main parties had failed to form a government since the February General Election. “There is no sense of urgency, priority, about dealing with this hugely critical problem,” he added. 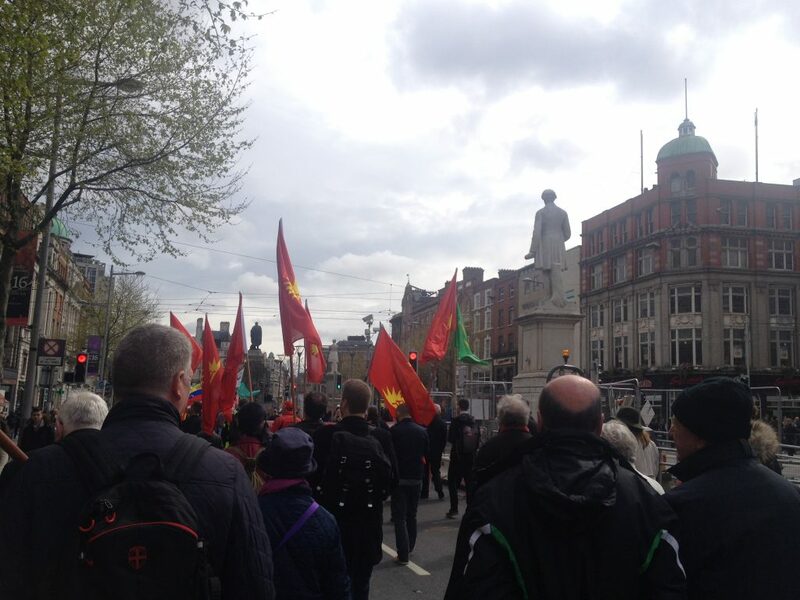 Fr McVerry spoke to those who turned out to the May Day workers’ rights march in Dublin yesterday as trade unionists and activists campaigned for better conditions for workers. An immediate increase of 28 per cent in rent supplement is required in order to prevent more families from becoming homeless, campaigner Fr Peter McVerry has said. 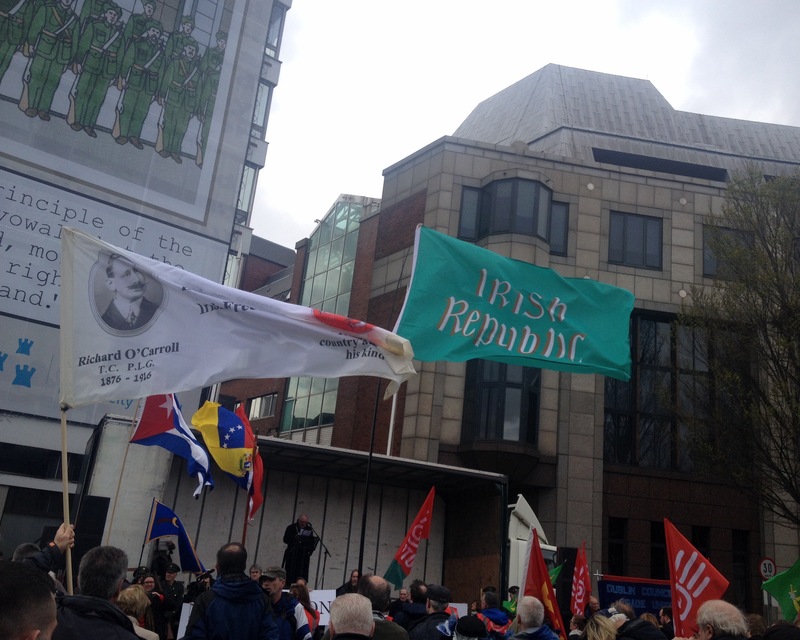 He was addressing the annual May Day parade, organised by the Dublin Council of Trade Unions, in the city centre yesterday. 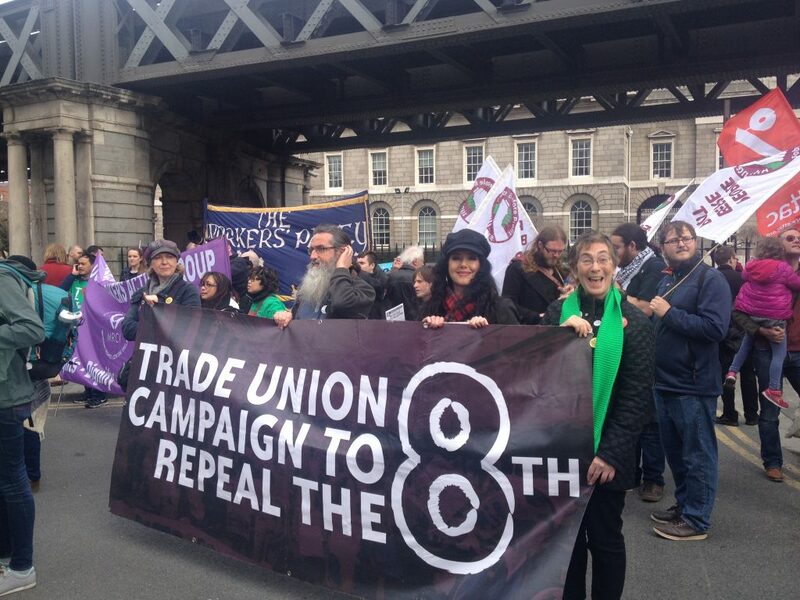 Several hundred trade unionists and activists marched under their banners from the Garden of Remembrance on Parnell Square to Liberty Hall, where they were addressed by a number of speakers urging changes to employment legislation to protect workers’ rights. Fr McVerry told the marchers that over the next two weeks another 150 emergency beds would be taken out of the system. The campaigner said emergency legislation was needed to block banks and financial institutions evicting people from their homes until they had found somewhere suitable to live. Fr McVerry said compulsory purchase orders were necessary to take over empty buildings to be used to house homeless families. He said the incoming government needed to open dialogue on any issues preventing the introduction of such a policy. The event, which started at the Garden of Remembrance and finished at Liberty Hall with music and speakers, marked 130 years of the Dublin Trades Council and 100 years since the Easter Rising. 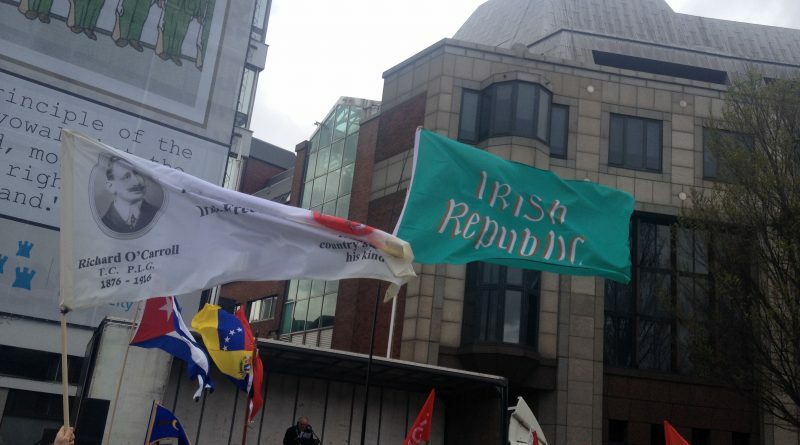 Banners from a variety of trade unions flew in the wind and campaigners carried banners while calls were made for workers across Ireland to stand up against unfair work practices and poor wages. While special mentions were given to Tesco workers who are currently working under potential threats to salaries and contracts. Bernie Sanders supporters even turned out to the event spreading the Democratic presidential hopeful’s civil rights message from the U.S, to Ireland. The former workers of Clerys also turned out to the march, chanting for justice, after the store was closed in June last year with 460 jobs lost after its sale to a consortium. Siptu organiser Teresa Hannick said the campaign for changes to employment legislation was ongoing. “They are here to make sure no other worker has to go through what they went through,” she said. The group, who marched, chanting ‘justice for the Clerys workers’, paused for a moment outside the shuttered store on O’Connell Street. There have been reports that the government has opened an investigation into the closure and sale last year which led to so many job losses at the historic Dublin store, founded in 1853. And speeches were also given about the water charges movement and the need to keep the campaign going. Repeal the 8th campaigners also attended the march continuing their regular protest for abortion to be legalised in Ireland. There was an element of younger people, including young families and teenagers in attendance at the march, mixed with trade unionists and activists from older generations. There was some anger on Twitter that the event had not been publicised on main news channels yesterday.